There are several questions that we need to answer. First, what did the court actually rule? What can courts say about science? And, is there any evidence that the hepatitis B vaccine causes multiple sclerosis? What can courts say about science? Is the hepatitis B vaccine related to MS? And the case is far from completed. Essentially, it was sent back to the lower court in France to be retried, and it would be incumbent upon Sanofi-Pasteur to present real scientific evidence that there is no causal link between hepatitis B vaccines and MS.
It’s important to reiterate, again, what the European court vaccine decision is not. It’s not a decision that says courts can ignore science. It’s not a decision that should allow anti-vaccine activists to bring counter-science claims, like the claim that vaccines cause autism. And it’s not a decision that requires all member states to follow the French law. It is a decision that allows, even encourages, member states, in situations of scientific uncertainty in product liability – not just vaccines – to consider other factors, such as temporal proximity of harm to vaccine, and compensate a plaintiff even without clear scientific evidence supporting causation. It’s a break for the plaintiffs, certainly. But European court vaccine decision is not a blank check to blame vaccines for any problem, and it’s not unreasonable to place the burden of scientific uncertainty, when there are other factors that can support causation, on large manufacturers over consumers. So, vaccine supporters should not assume that suddenly Europe has lost its way and decided science doesn’t matter in court cases. Nor should the anti-vaccine crowd think that this ruling had the effect of condemning vaccines in any way. The burden of scientific evidence remains – there has to be reasonable evidence about a claim of harm from vaccines before a court rules in favor of the plaintiffs. It’s important to state, right up front, that even if this European court vaccine ruling actually stated that hepatitis B (or any vaccine) caused MS (or any adverse effect), and the ruling did not do such a thing, it does not mean that its right. Scientific decisions must always rely on the highest quality and quantity of evidence. This is a constant bone of contention between pro- and anti-vaccine groups. The former understands scientific principles, and that only high quality published and reviewed evidence counts. The latter thinks that anecdotes and other non-scientific “data” is what should drive the equation. A court decision is not necessarily scientifically based. One side presents all of the data it can usually in a biased manner. So does the other side. And the jury and judge is required to sort through all of this, remembering that emotional appeals are a huge part of these cases. But more than that, this court seem to think that correlation was roughly equivalent to causation. To be blunt, that’s not science, and for the court to imply that should be sufficient to say that courts really have not much to say about science. Basically, the court said that correlation can equal causation. Of course, in some cases, that is true. After all, some correlations do indicate causation. However, as all scientists know, an observation of a correlation is a beginning, not an end. Observed correlations are hypothesis-generating. They are not sufficient to conclusively support a hypothesis. That requires more, a lot more, because correlations alone can be profoundly misleading. There can be confounding factors, such that an observed correlation to one factor (say, factor X) is actually a correlation to another factor (say, factor Y) that happens to be also correlated with factor X. Epidemiologists know this and do their damnedest to account for such confounders. If courts had control of science, and they suddenly decided that correlation can equal causation, then we need to rewrite a bunch of books in epidemiology and statistics. And the justices of this European court need to be awarded Nobel Prizes for their groundbreaking work in science. But see, they won’t, because, on the science, the European court was wrong. However, as Professor Reiss pointed out in her detailed review of the case, these judges did not avail themselves of all of the research in the area, and when it was sent back to the lower court in France, the expectation is that better evidence will be presented, and this case wraps up without a finding for the defendants, Sanofi-Pasteur. In each study, the researchers found no increase in risk of developing MS after receiving the hepatitis B vaccine. 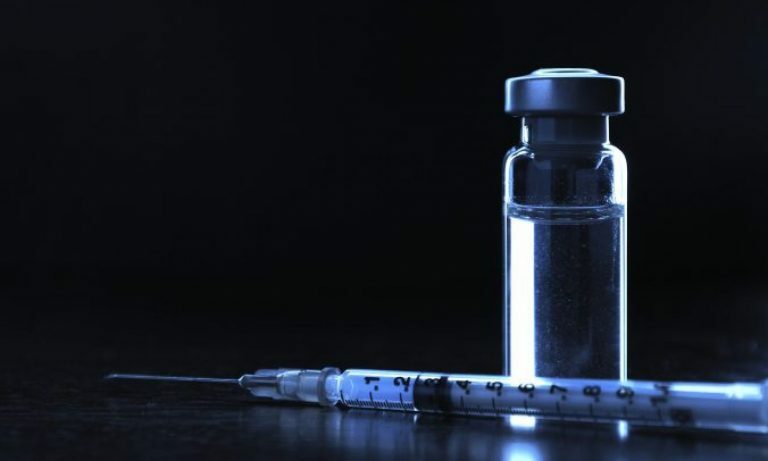 Three separate meta reviews done over two decades all found the same thing – the hepatitis B vaccine was not related to either the onset or relapse of multiple sclerosis. I am not sure why this evidence wasn’t presented by Sanofi-Pasteur during the lower court proceedings of this case, because the science is crystal clear with respect to this vaccine. First, the court did not actually say that vaccine manufacturers could be found liable despite the evidence. In fact, it was clear that if evidence was available that showed no causal link, it should be considered and be more relevant than circumstantial evidence. Second, courts are not established or are particularly expert in deciding on scientific matters. Courts do not use the scientific methods to decide cases. And they have a difficult time separating high quality evidence from emotional anecdotes. Third, the science has spoken on this matter – there is no link between the hepatitis B vaccine and multiple sclerosis. So, we can be a bit more relaxed about this European court vaccine ruling, even though it’s pretty clear that the vaccine deniers will use it to make some memes that say “Europe says vaccines are dangerous.” We know better. DeStefano F, Verstraeten T, Jackson LA, Okoro CA, Benson P, Black SB, Shinefield HR, Mullooly JP, Likosky W, Chen RT; Vaccine Safety Datalink Research Group, National Immunization Program, Centers for Disease Control and Prevention.. Vaccinations and risk of central nervous system demyelinating diseases in adults. Arch Neurol. 2003 Apr;60(4):504-9. PubMed PMID: 12707063. Farez MF, Correale J. Immunizations and risk of multiple sclerosis: systematic review and meta-analysis. J Neurol. 2011 Jul;258(7):1197-206. doi: 10.1007/s00415-011-5984-2. Epub 2011 Mar 24. Review. PubMed PMID: 21431896. Mailand MT, Frederiksen JL. Vaccines and multiple sclerosis: a systematic review. J Neurol. 2017 Jun;264(6):1035-1050. doi: 10.1007/s00415-016-8263-4. Epub 2016 Sep 7. Review. PubMed PMID: 27604618.